From its early days as a practical vehicle for farm-bound families to fashionable SUV’s that are so popular around the world. 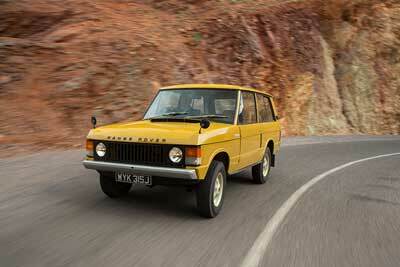 After almost seventy years the Land Rover marque still produces go anywhere vehicles that truly define their class. The original Land Rover was the brainchild of Rover’s chief designer Maurice Wilks. He owned a farm in Anglesey and needed a vehicle to replace the WWII Willys Jeep he relied upon. Maurice appreciated the Jeeps rugged off-road capability but could see the potential for improvements to its design. 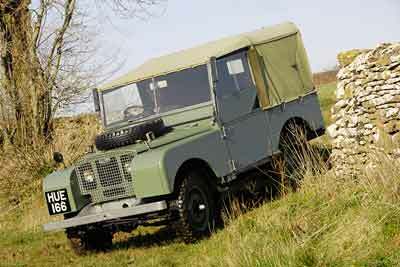 The Land Rover prototype used a Jeep chassis and engine from the Rover P3 saloon. A new type of vehicle conceived for travelling over land, rough or smooth. The Land Rover was born. By 1958, more than 200,000 Series I Land Rovers been made, Land Rover celebrated the 10th anniversary with the launch of the Series II model. The decades that followed saw the release of a series II model in 1958 and eventually a new luxury off-road vehicle, the Range Rover in 1970. Conceived as a more upmarket version of the Land Rover, the Range Rover was still a fairly basic vehicle, more luxury 4×4 than the super-luxurious SUVs we have today. Available with two-doors only, with a split opening tailgate and a comparatively spartan interior that was suitable for hosing out the dirt and debris. A far cry from the thick carpets, leather and touch-screens all found in Range Rovers today. The reception the Range Rover achieved was astonishing, virtually every press report was ecstatic. The orders came flooding in and the company (once again) found itself with full order books. The car was so popular in fact that in 1978, British Leyland (then owners of Rover) made the decision to make Land Rover its own marque. 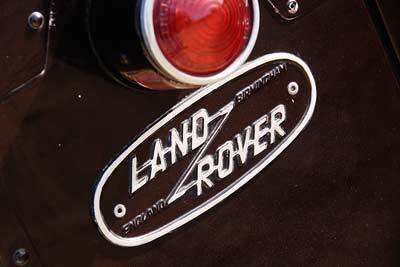 The Land Rover badge has undergone only a few minor changes since its first appearance on the Series I vehicles. Legend has it that it was created after its designer left a tin of Pilchards he was eating for lunch on his drawing board. The oily oval ring he saw upon removing the ring inspiring the logo we know today. Following several changes of ownership over the last couple of decades years the Land Rover is currently owned by the Indian Tata Motors. However, with its headquarters and factory still located in the UK, the marque retains its uniquely British personality. 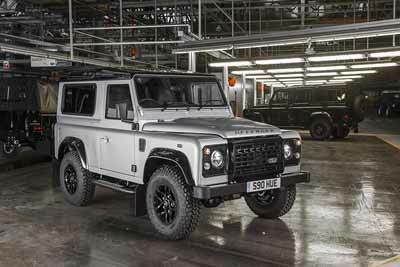 In 2015 production of the Defender, the vehicle that can trace it’s roots back 67 years to Maurice Wilks’ first Series 1, is due to end. 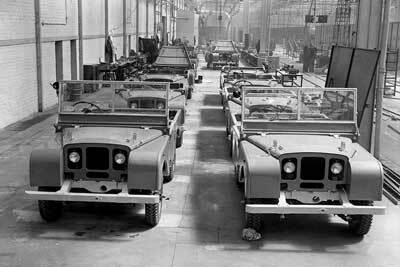 Since 1948 over two million examples of the Series I, II III and Defender have been produced at Land Rover’s Solihull factory. 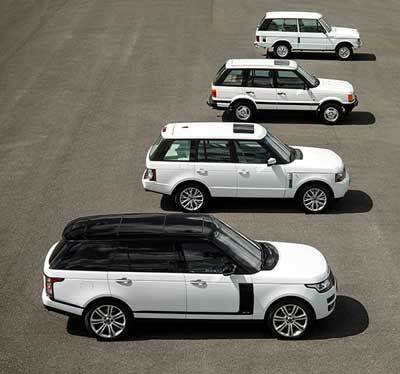 The fourth generation Range Rover was launched in 2012, the model celebrated 45 years on sale in 2015. Land Rover currently make – Range Rover, Range Rover Sport, Evoque, Discovery, Discovery Sport, Defender and Freelander 2 models. If you’re a Land Rover owner, be sure to check out our owners’ club section to find out about clubs near to you, or for information about club meetings and events.